Pictures: Weight Loss Superfoods -- Fact or Fiction? Weight Loss Superfoods: Fact or Fiction? There's no magic bullet for weight loss. For example, you may have heard that grapefruit "burns" fat, right? Wrong. No food can do that. 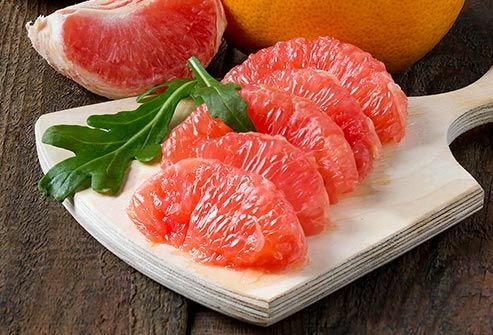 But if you eat grapefruit as a snack instead of chips or a candy bar, that can help you lose weight. Among other things, it's a good source of vitamins A and C.
You're more likely to stick to a diet that includes nuts, so you're more likely to lose weight as well. Grab a handful -- don't let the fat content put you off. 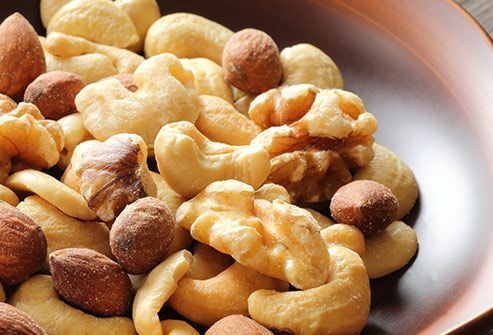 The fats in nuts are healthy and help satisfy hunger, making you less likely to overeat. You read that right. 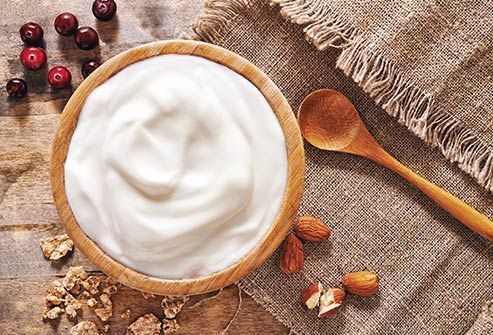 Full-fat, not low-fat, yogurt may help with obesity -- as long as you don't overdo it. And yogurt is good for the bacteria in your gut. That can lead you to lose weight and not gain belly fat, the most dangerous kind of fat. They can really satisfy your hunger. And when you feel satisfied, you're less likely to overeat. 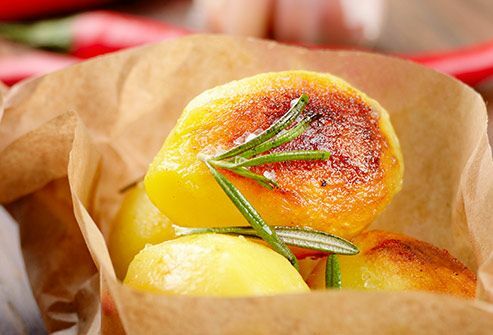 In addition, boiled potatoes form something called "resistant starch," a special kind of fiber that may help you lose weight. But don't load them up with butter, cheese, or sour cream. If you want something sweet, berries are a good choice. Low in calories and filled with juice and fiber, these small, flavorful fruits may keep your hands from the cookie jar. They also may help drop your cholesterol, and they're loaded with antioxidants to help fight off sickness. Avocado-rich guacamole is a staple at your favorite Mexican restaurant. But this creamy, filling fruit is great on its own or in slices on a sandwich. Yes, it has fat, but it's the good kind. 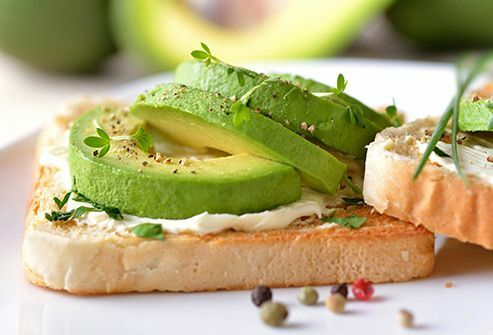 A little avocado in your diet can help keep hunger away while helping to lower your cholesterol. They're full of nutrients and great for making you feel full. 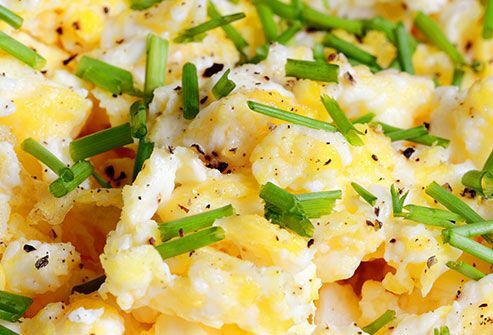 If you want to lose weight, and you already burn more than you eat, eggs can help you eat less and reach your goal. 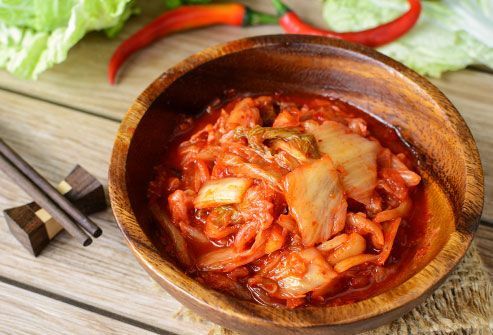 Fermented foods, such as kimchi, are good for the mix of bacteria in your gut, which can mean better fat metabolism and weight management. Food gets fermented when it sits for a long time in water or salt or other spices. This can change its chemistry and taste. Make sure to buy fermented foods -- not simply pickled -- to get the full effect. LiveScience.com: "Grapefruit: Helath Benefits & Nutrition Facts." Nutrition Bulletin: "Health properties of resistant starch." The Journal of Nutrition: "Impact of Peanuts and Tree Nuts on Body Weight and Healthy Weight Loss in Adults." European Journal of Nutrition: "The relationship between high-fat dairy consumption and obesity, cardiovascular, and metabolic disease." Harvard Health Publications: "Ask the doctor: Coconut oil." NIH: "A satiety index of common foods," "Mangagement of metabolic syndrome through probiotic and prebiotic interventions," "Fermented kimchi reduces body weight and improves metabolic parameters in overweight and obese patients," "Weight-loss diet that includes consumption of medium-chain triacylglycerol oil leads to a greater rate of weight and fat mass loss than does olive oil," "Egg breakfast enhances weight loss," "The effects of daily consumption of grapefruit on body weight, lipids, and blood pressure in healthy, overweight adults." Fulgoni, V. Nutrition, Jan 2013. Wang, L. Journal of the American Heart Association, Jan 2015. Basu, A. Nutrition Reviews, March 2010. 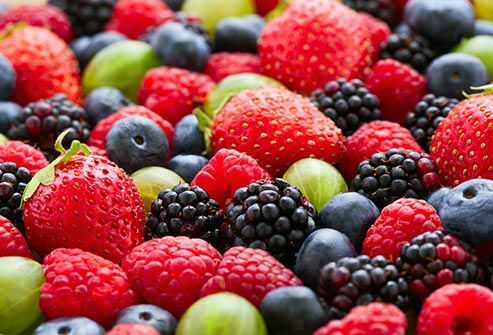 PubMed Health, Behind The Headlines: "High-flavonoid foods, like berries and apples, prevent weight gain."